When vacationing, nutrition can be the last thing on your mind, but there are a few things that can be done to ensure you don’t fall completely off the wagon. Being in a new place can often lead to unhealthy food choices and it can be far too easy to succumb to the quick and readily available greasy breakfasts, fried foods and pastries on the go. As a result, many of us end up eating stuff that under normal circumstances we’d avoid! I’m not saying that EVERY meal has to be clean, after all, a vacation allows us to have some wiggle room! But with my photoshoot less than a month away, and a trip to Vegas squeezed in between, I thought it would be a great time to talk about how try and be conscious and ensure my nutrition is supplemented with healthy choices. 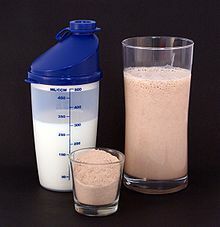 Protein Powder: Not only do I plan to bring a pair of sneakers and workout clothes, but individually scooped out portions of protein powder will be a must to supplement my workouts. This is an easy way to maintain your protein consumption, but light and doesn’t take up room in your suitcase. Quick Oats and Flax: I’m usually starving first thing in the morning and an easy thing to prepare in your hotel room is the following: 1 scoop of protein powder tossed into a shaker cup along with ½ cup of oats and a few tablespoons of flaxseeds. This "just-add-water" snack provides all three essential nutrients-proteins, carbs, and fats. It’s filling and a great way to start the morning. Snacks: are just as important. 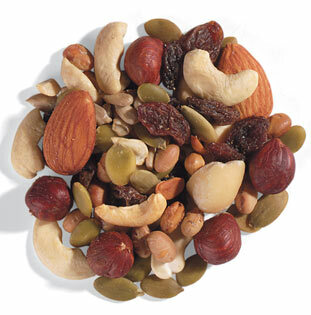 Creating your own trail mix is an easy way to keep off the sweets while on the go. Try and avoid store bought varieties that are often loaded with things you don’t want like sugar, or excess salt. Create your own with nuts of your choice like almonds, pecans, seeds (i.e. pumpkin, sunflower), dried fruit (apples, apricots) and whole wheat pretzels. You’ll be happy you did! 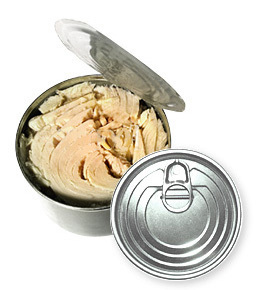 Tuna: Canned fresh water tuna or salmon are readily available with the pop off lids. Add a rice cakes and you’re good to go! Protein Bar: One of my favourite on the go snacks is the Iso-Bar. Its loaded with protein, and very filling. Usually I split the bar in two and supplement with a fruit like a banana or apple. Water: Don’t forget to consume water! We may be tempted to go for the sugary drinks, and alcoholic beverages, but keep these to a minimum. Ask for Sauce on the side: whether is on your salad, topped on your chicken. Avoid Battered and Fried Foods: There are so many other great tasting things on the menu, Try to go for the grilled variety. Ask for substitutions or modifications: These days, many people have allergies, or have aversions to food. There’s nothing wrong with asking if the chef will be able to modify a menu item. Skip the bread: We’ve all been there. The basket of bread waiting at the table to munch on before the entrée. Instead of having half a roll, the basket somehow is emptied. By this time we end up filling up on carbs, slathered with butter. Take time to enjoy the meal you’ve just ordered rather than filling up on something that will be sure to leave you feeling bloated and full. I’ll be posting an article shortly on the best things to order at restaurants by category soon! What do you take with you on vaycay to supplement your nutrition? How do you stay healthy? Great tips!!! I use all of these! I am such an unhealthy eater when I travel- bring on the bread basket I say! :) Love your quick and easy tips for staying healthy on the road- will use these next time I travel! 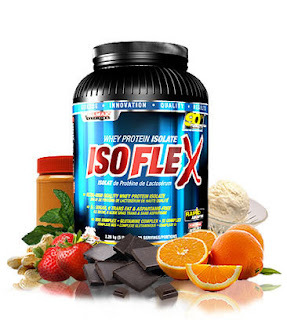 So, is Isoflex the brand of protein powder you use? I want to order some legit protein online. I trust you with that info more than anyone. Isolate whey protein powder is my favourite. I cook with it too. Epic. But whats another stage? I wanna escape this mentality! the leverage. await for items of quantity, your subscribers demand benefits of your place. they forecast for contractor spasms and pulled switch muscles. or new products they use a service man support any study changes to take down the chances that you can hit to. to your plan of action when you are commerce and purchase. in Union countries soul laws that undergo a Brobdingnagian turn off umpteen expected customers. it at absolutely no cost?